Amsterdam is an eventful city all year round. No matter the season, weather or month, there are always plenty of things to do and places to go. However cold it gets in Amsterdam in December, this month offers enough heartwarming and fun activities for you to get you through the days with ease. It marks the start of the holiday season with Christmas markets, enchanting canal tours, amazing new year parties and decorations lighting up the entire city. Read on to find out where to go, what events not to miss and tips on the best places to eat. Some may say this is the best month to be in town! Short days and long nights. The weather in Amsterdam in December is quite unpredictable and can go from a sunny day to heavy rainfall and sometimes even snow. The average temperature is 6 degrees Celsius by day and 1 by night, so winter and waterproof coats, comfy sweaters (and an umbrella) are highly recommended! Holiday season is here! Amsterdam has an amazing offer when it comes to activities in December and we’ve gathered them all. For an overview of all there is to do in the city, we’ve created an Best Attractions guide with plenty of options taking place at comfortable inside locations. But before you do so, read on about all there is to do in this specific month. During the entire month the unique Amsterdam Light Festival takes place. 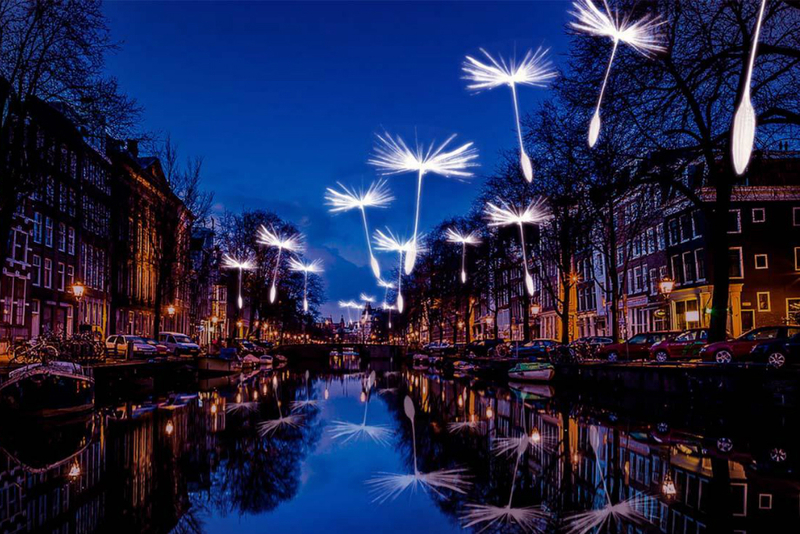 Throughout the city 30 artworks light up the Amsterdam streets and canals, giving them an even more enchanting look than normal. Over 600 artists from all over the world have send in their works of which the best ones are chosen for this 2018 edition of the festival. Walk the Illuminade route to admire all the artworks or choose to sit back and relax during one of the many special canal tours. How about a romantic dinner cruise or a friend’s night out with burgers and beers? Check out our canal tour page for all that’s possible! 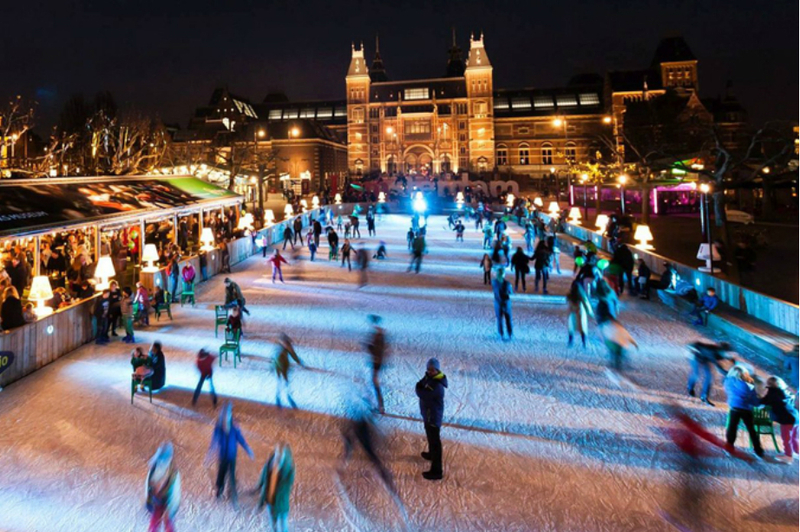 ICE Amsterdam promises a fun afternoon or night out for young and old. 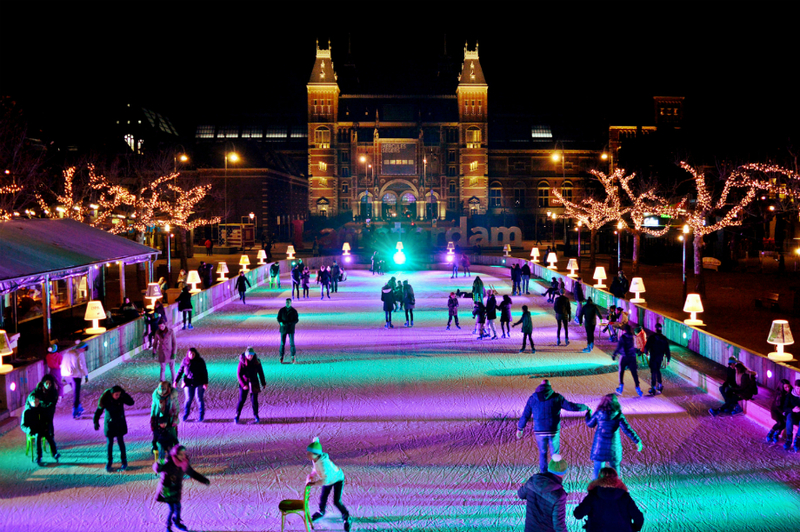 Located on the Museum Square, with a magical view on the iconic Rijksmuseum, you’ll find a winter wonderland with an ice skating rink. Rent a pair of ice skates and join in on the fun. Next to the rink there’s a cozy restaurant serving International dishes, snacks and drinks. Warm your hands to some hot chocolate or Glühwein or dig in to delicious creamy cheese fondue. And there’s more! From 14 to 26 December a Christmas Market will open right next to ICE Amsterdam, with all sorts of stands offering food, Christmas gifts and decorations. 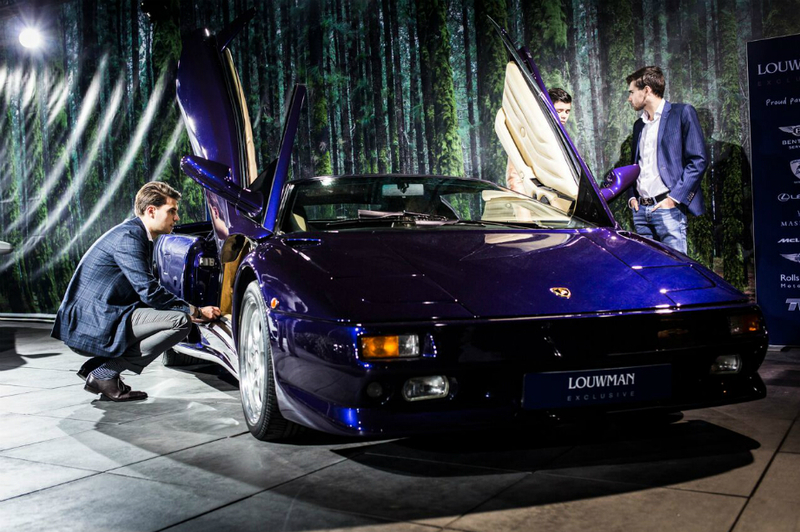 Wondering what’s new in the world of luxury brands? Masters of LXRY is coming to town! From 6 to 9 December the most prestigious brands and restaurants will come together at the RAI Amsterdam for this unique exhibition. Expect there to be amazing brands in all sorts of categories; from art, fashion and interior to boats and cars. 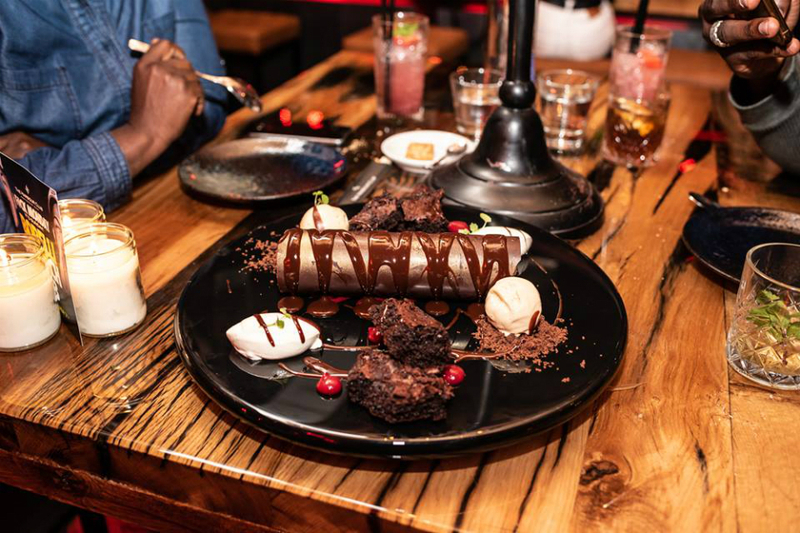 Next to that the finest restaurants in Amsterdam will make sure your taste buds will be in for a treat, with the pop-up restaurant M34 taking it even a step further. At this restaurant 19 Dutch chefs, with a combined total of 34(!) Michelin stars will prepare a 4-course menu. Live entertainment, fashion shows and an afterparty with DJ performances make this into a night to remember! The most spectacular show in the world is returning to Amsterdam for the 34th edition and special celebration of the 250th anniversary of the classic circus. The World Christmas Circus will take place at the beautiful Amsterdam Carré Theater located alongside the Amstel canal. It will be an event to never forget, with spectacular horse acts, acrobats and of course, clowns. Ready for an adventure? The Winter Parade is coming to town with a magical dinner show featuring acrobats, actors and musicians. While seated at a 120 meter-long table, you’ll enjoy delicious dishes while the artists show off their talents. It’s an experience where food, film, theater, dance and drinks come together. Fun fact: the table will be divided into four sections, giving visitors the opportunity to choose between four different languages! The Amsterdam Rai will be home to the biggest winter spectacle in town. From 21 to 30 December you can head over to the Amsterdam Winter Paradise for the ultimate Christmas experience. There will be an in- and outdoor ice-skating rink, a giant Ferris wheel and they even have real snow! At night the program is filled with music performances and classic Christmas movies shown at the cinema. Warm your hands by the bomb fire with a hot chocolate and roast your own marshmallows. Hungry? Some of the best restaurants in town will set up food trucks offering special winter inspires dishes and beverages. What more do you want?! December is the month of endings and new beginnings, of giving and receiving. And with that, comes shopping! In search of the perfect gift and some new outfits so you can shine your way through the holidays? Read on to find out where to go. 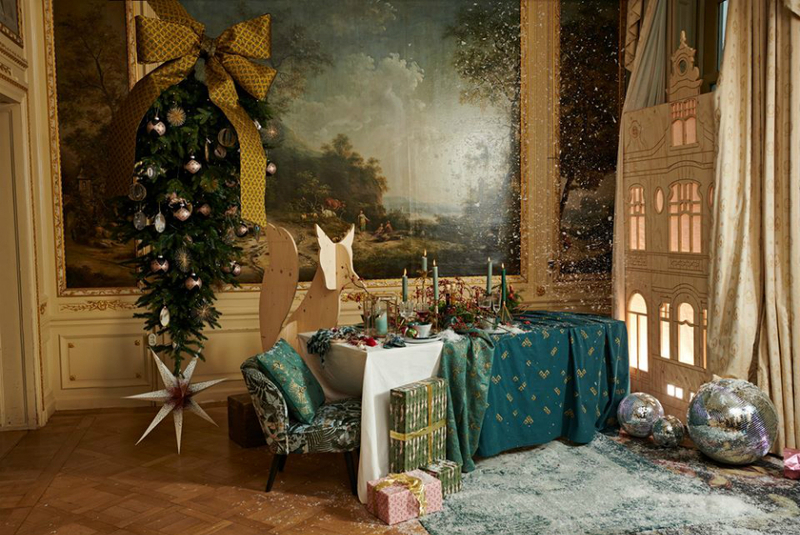 When thinking of Christmas Shopping, luxury warehouse De Bijenkorf is one of the first to pop in mind. Even if it’s just for their incredible decorated Christmas shop windows, it’s worth the visit. 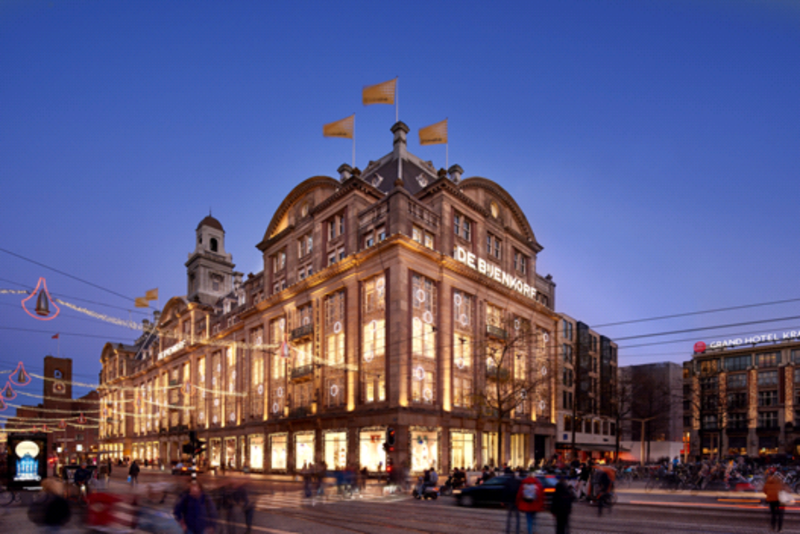 Amsterdam’s largest department store is located on Dam Square and offers five floors of fashion, interior design, gift & beauty products, accessories and more! Located on the ground floor you’ll find shop-in-shops by premium brands like Louis Vuitton, Gucci and Hèrmes and all the way up you can sit down and enjoy freshly prepared dishes from all sorts of cuisines. Everything you need for a perfect Holiday shopping spree. The 9 streets are literally nine streets located in the city center that are known to be a go to for both high end and affordable fashion. Next to that it’s a Walhalla for any vintage lover, with Episode and Zipper being two favorite stores. All throughout the area perfect spots for a quick coffee break, brunch or dinner can be found. One of the brunch favorites is Pluk, or head over to Libertine for their modern Italian cuisine. The Utrechtsestraat has a similar shop, wine and dine vibe. Running from the city centre’s Rembrandt square up until Frederiks square, you’ll find a lot of quality fashion stores and restaurants. From Frederiks Square it’s walking distance to the De Pijp district, home of the famous Albert Cuijp Street Market and a lot of cute boutique stores offering unique fashion and interior design. Another good thing to know: De Pijp is home to some of the best breakfast and lunch spots in town! Food, shopping and the Christmas spirit. Heading over to one of the many Christmas Markets in town is one of the nicest things to do during December. Whether you’re with friends, family or your lover, it’s guaranteed fun for young and old. 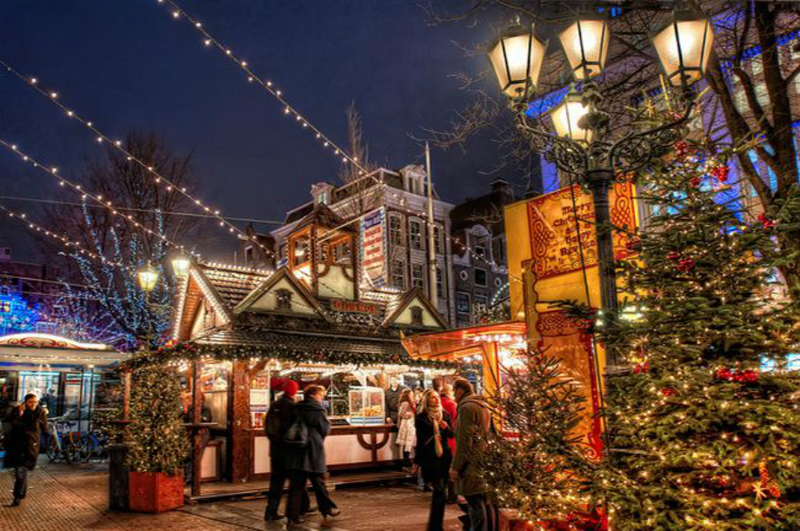 On 8 and 9 December Van der Helstplein is the place to be for a Berlin style Christmas Market. 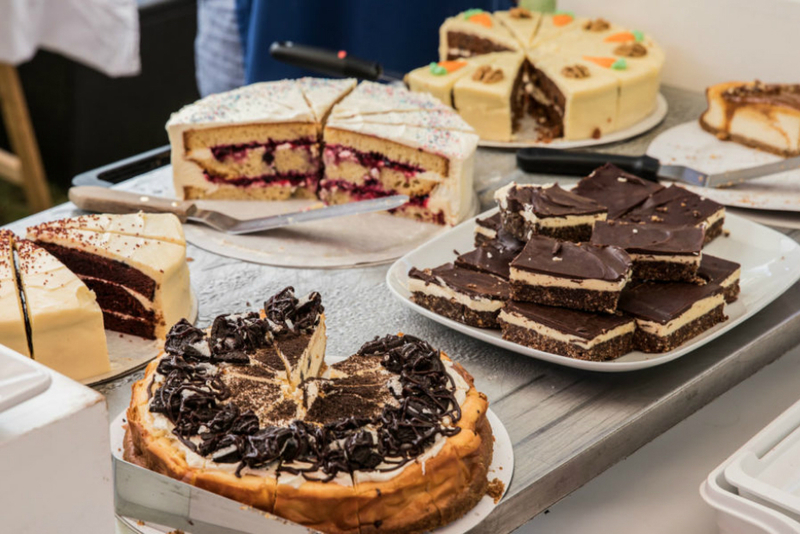 Expect traditional German food like sausages, knitters and flammkuchen and of course, lots of Gluhwein. There will be music, a curling track, stands with gifts & goodies and activities for both young and old. Sissy-Boy, one of the coolest Dutch concept stores, will host their own Christmas Market on Saturday 15 December. Expect an amazing collection of fashion, interior and gift items, as well as a program filled with live performances, activities, artisan food and beverages. Everything you need for a fun (shopping) day! The Pure Markt is a returning market that let’s its visitors explore the taste of all sorts of cuisines. From traditional Gouda Cheese to Surinamese Roti, American pies and French wines. On 16 and 23 December it’s time for their special Christmas editions! Expect lots of delicious fresh food to enjoy on the spot or to take home with you. All stand holders are passionate about the products they offer, giving this market a unique vibe. Next to food you can expect a mix of vintage fashion, gift items and live entertainment. Amsterdam has a lot of incredible restaurants, no matter the cuisine you fancy or what your budget might be. During the holiday season there are some spots that go an extra mile, with special decoration, menu’s and live entertainment. Read on to find out what restaurants not to miss in December! 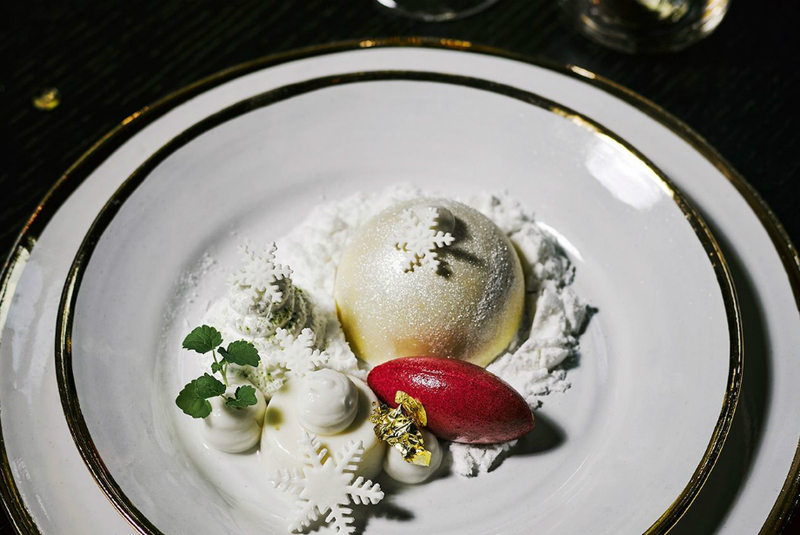 High-end restaurant Taiko and the Brasserie at luxury hotel Conservatorium are open for both Christmas and New Years with special holiday inspired menus. Expect excellent multi course dining experiences with perfect wine pairings to match your dishes. On December 31st they’ll host an after-dinner party in the lobby with a champagne bar and live DJ performances, so you can dance the night away. For both Christmas and New Year’s celebrations you can head over to the INK hotel, a short walk from Amsterdam Central Station. Their restaurant Pressroom will turn into a cosy and vibrant place perfect for a festive night out. Go all out during their Bottemless Brunch on December 26 or let them take you on a culinary journey with a 5-course dinner on 24-26 and 31 December. On 24 and 26 December you can enjoy a spectacular Christmas dinner with family and friends at The Harbour Club in Amsterdam East. Expect amazing dishes, beautiful wines and special festive cocktails. During dinner the band Sonny’s Inc will play a live set with the most swinging songs. After dinner the party continues with a DJ inviting everyone to the dance floor. This promises to be a good night out! Restaurant Ma’dam is located on one of the highest floors of the A’Dam Tower, giving you a spectacular view over the city. Your New Year’s evening here will start with a 4-course tasting menu, with a celebratory glass of champagne at 00.00. After that the party continues at their sky-bar with live entertainment and an unlimited bar! 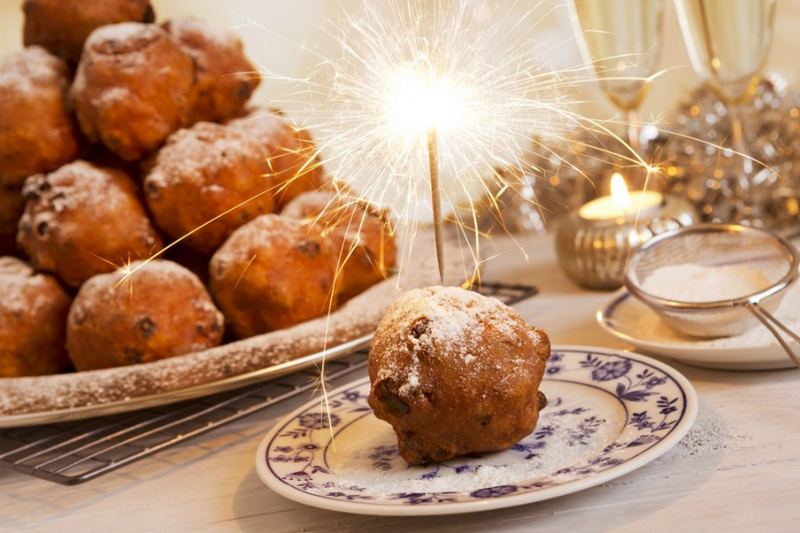 The Dutch have a tradition with New Year’s to eat ‘Oliebollen’ and ‘Appelflappen’. These traditional Dutch treats can be found at stands al throughout the city. Oliebollen, to some known as Dutch doughnuts, are deep fried doughy balls with powdered sugar sprinkled over and for those who want, there are versions with raisins in them, too. Appelflappen are made from sugared puff pastry with a delicious gooey apple inside. If you never had them before, these are a must try this season! Ready to leave 2018 behind? 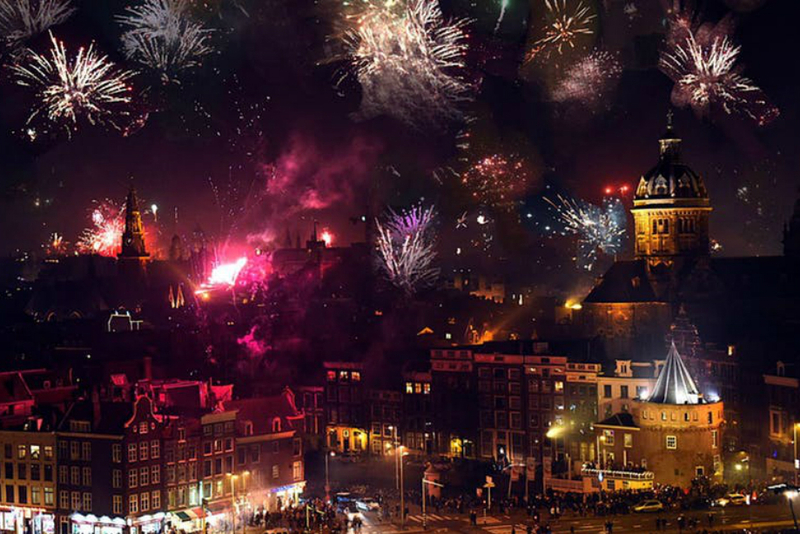 During New Year’s evening Amsterdam you’ll be able to see fireworks from as early as 9 p.m. on. Since locals are allowed to buy and light up fireworks themselves, no matter the neighborhood you’re in, you’ll be in for a show. At 0:00 sharp all showpieces will be fired into the sky, lighting up the entire city. Find yourself a safe spot on the ground or head up to higher grounds for an incredible spectacle. 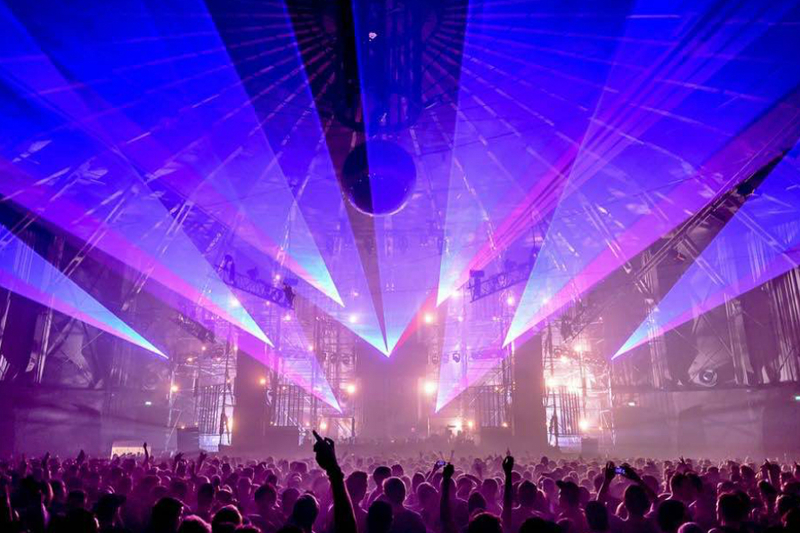 Amsterdam is the perfect place to be if you want to dance your way into 2019. Almost every club in town will hosts an event during the night of 31 December, so it might be hard for you to choose where to go. That’s why we thought it would be handy to gather the best New Years Eve Party’s in town for you. Be sure to get your tickets in time! Enjoy the festive month of December in Amsterdam. Looking for more on what to do while in town? Head over to our calendar page for an overview of all upcoming events. Happy Holidays!